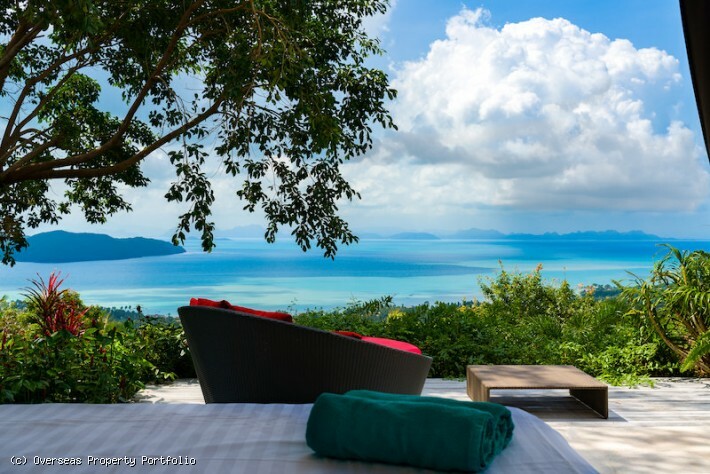 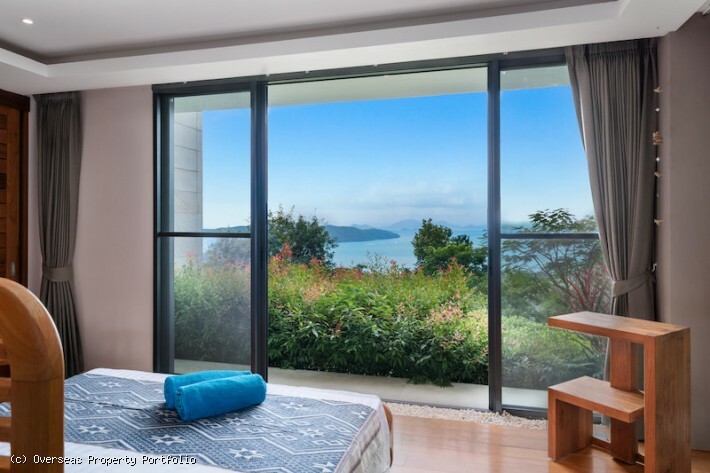 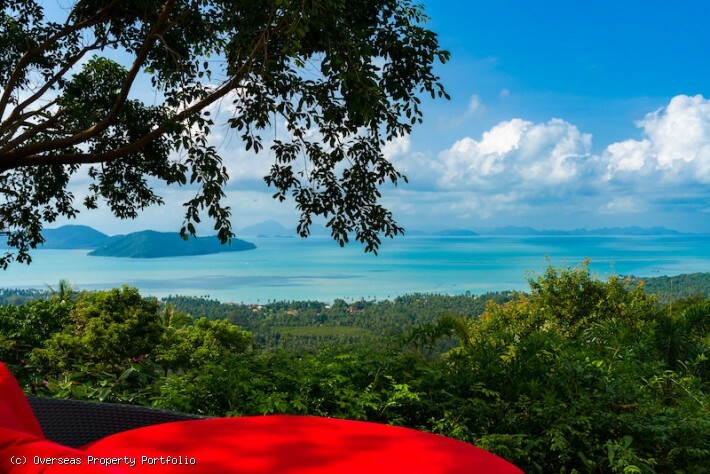 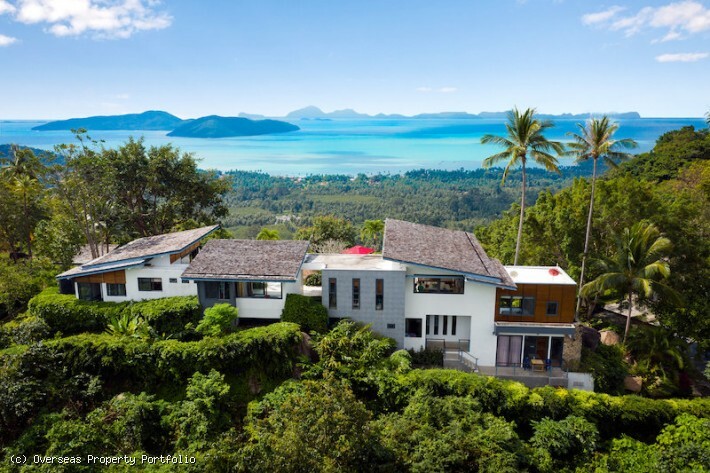 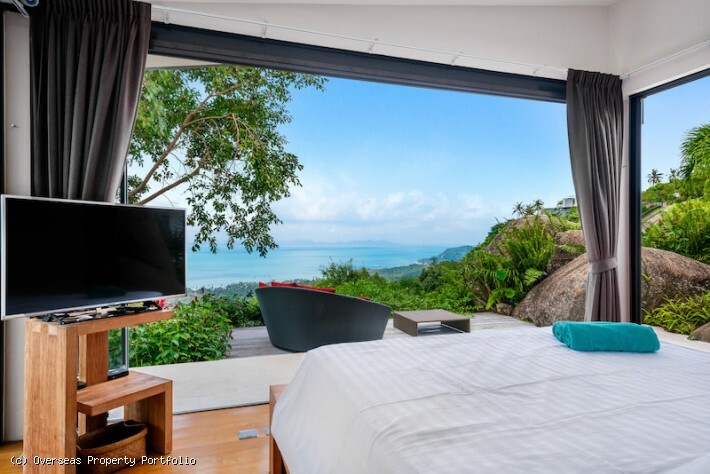 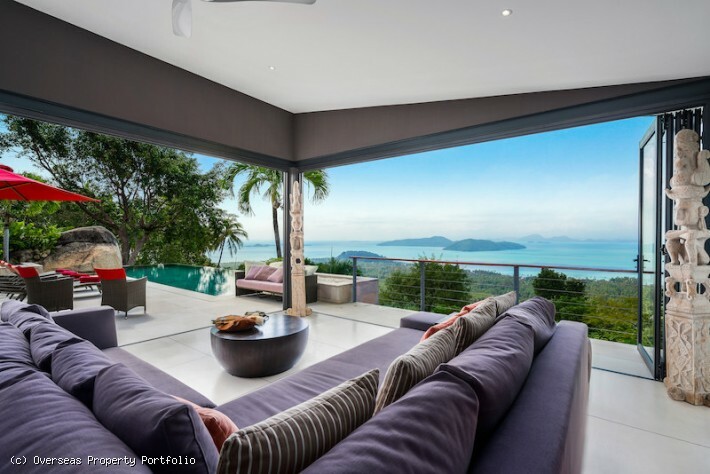 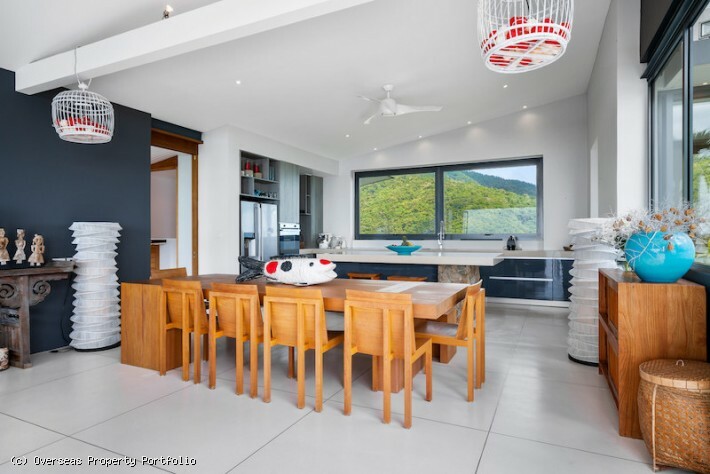 Absolutely stunning views are what sets this Koh Samui Property for sale apart from many others. 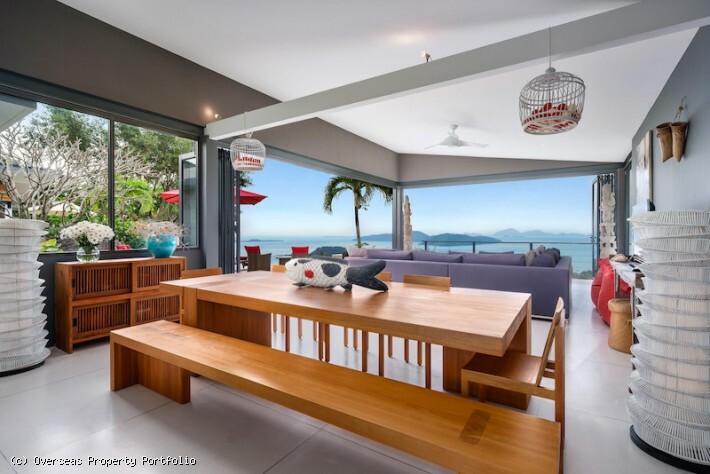 Spread over two floors, this architect designed and beautifully appointed Koh Samui villa for sale captures openness, with every room featuring floor to ceiling sliding glass doors affording stunning panoramic views of the majestic gardens, natural tropical rainforest behind the villa and breathtaking sea and island views across the Gulf of Thailand. 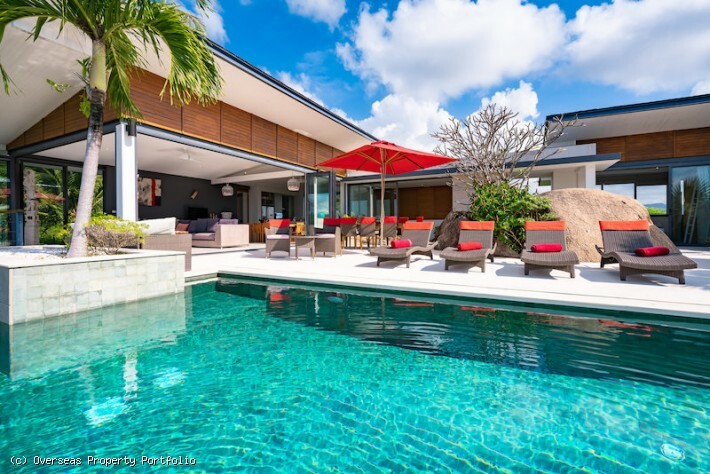 Designed and decorated to combine the best of tropical living with all the amenities of a luxury home, the villa is a stunning private oasis, a luxurious out-of-town escape! 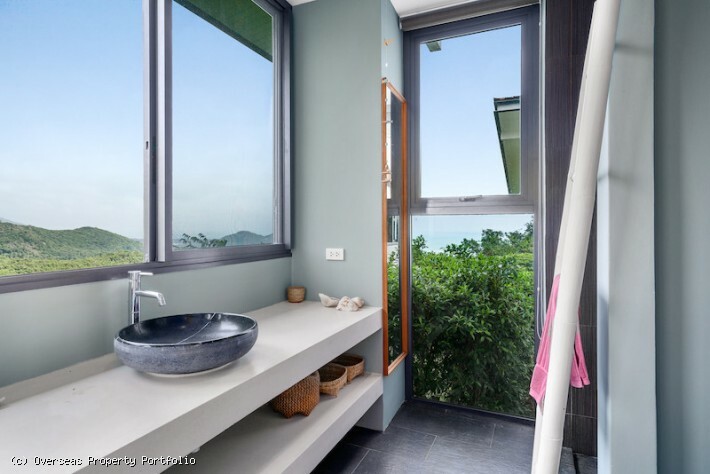 The approach to this Koh Samui villa for sale is a staircase that opens out onto the first floor with tempered glass sides that leads up to the vast main living area, dining for 10 and a modern fully equipped kitchen which is the focal point of the villa for social gatherings, so whether you are dining or relaxing you are never far away from the glorious views in front of you. 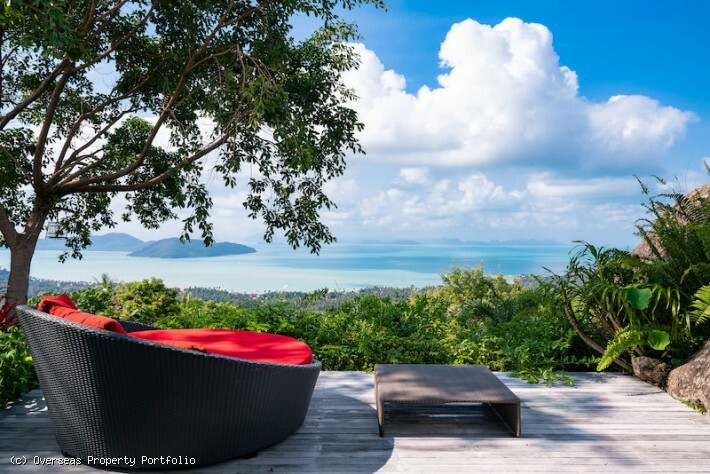 The living area opens onto a wide terrace with an outdoor alfresco dining set to the side and 48 sqm infinity swimming pool offering incredible views to the sea and scenic surroundings. 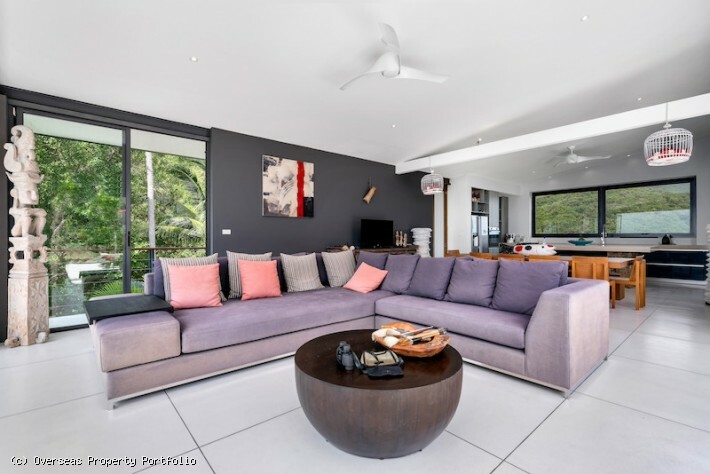 The poolside area is the perfect size for outdoor living and entertaining and complete with casual seating as well as sun loungers and umbrellas for sun worshippers and shade seekers. 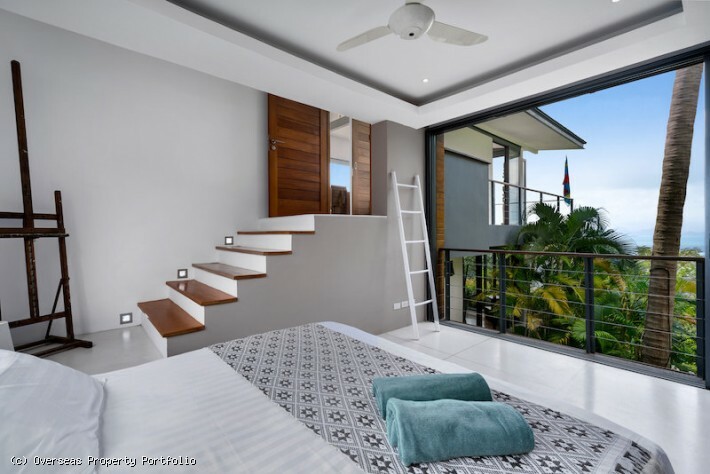 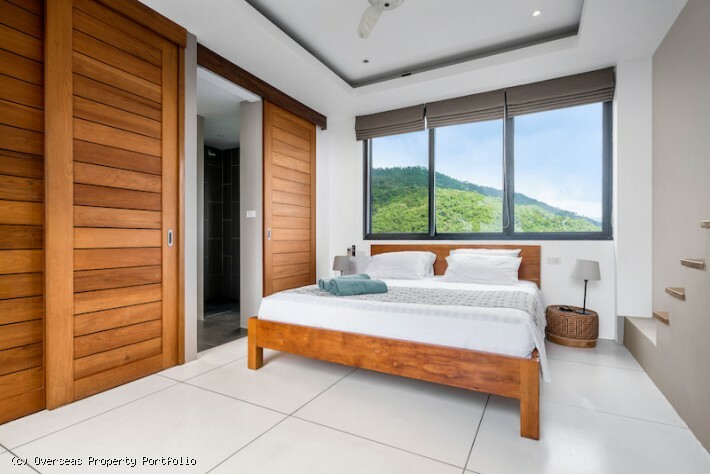 The generously sized master bedroom features a walk in dressing room, an office area to the side and opulent master bathroom with indoor and outdoor showers and an outdoor jacuzzi, a truly tropical experience! 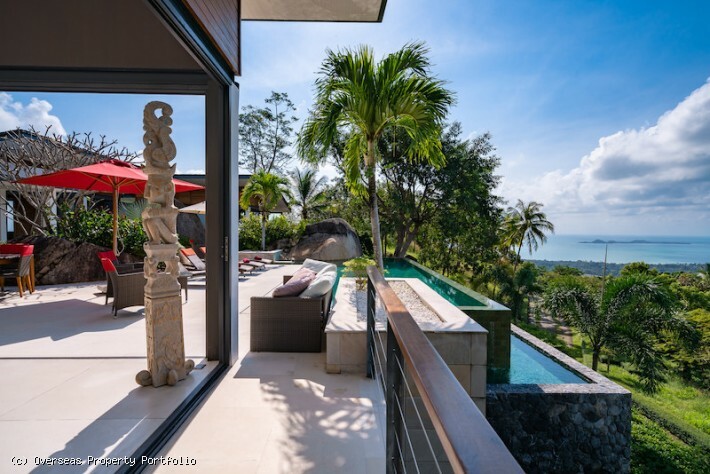 The master opens onto its private terrace and enjoys majestic views. 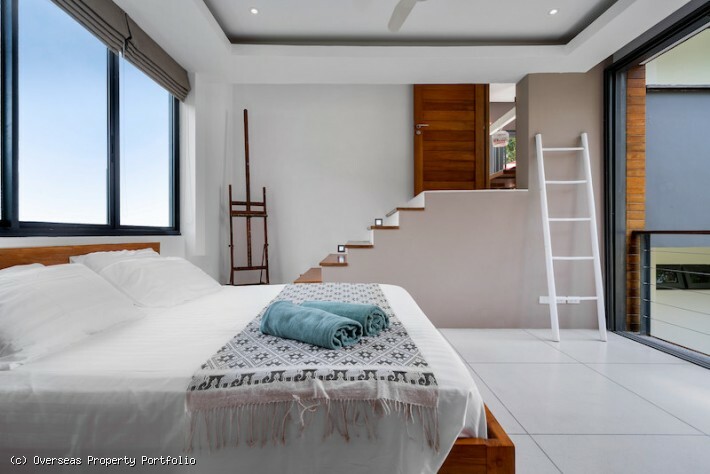 The three further bedrooms of this impressive property are spacious, all ensuite and each provides the ideal private space. 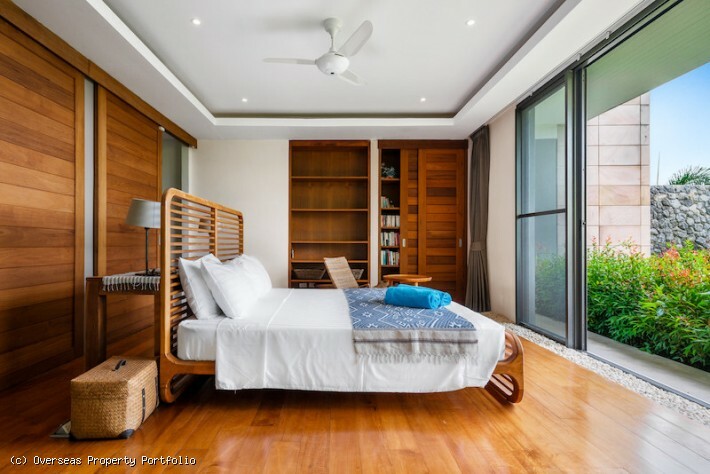 There is a carport, large enough for 2 cars, maid quarters, laundry area and numerous storage rooms. 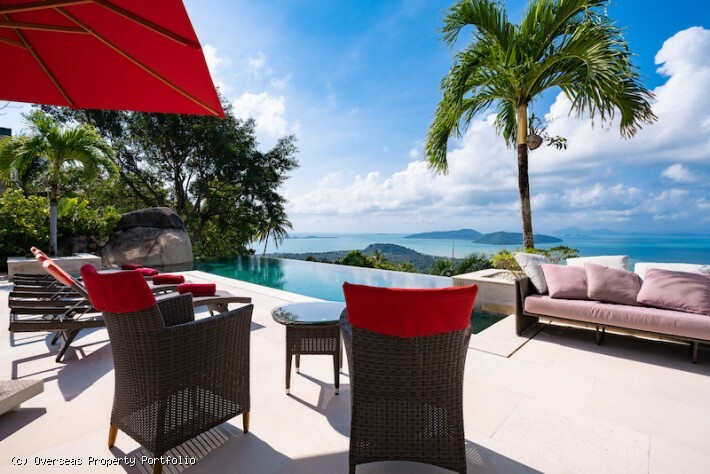 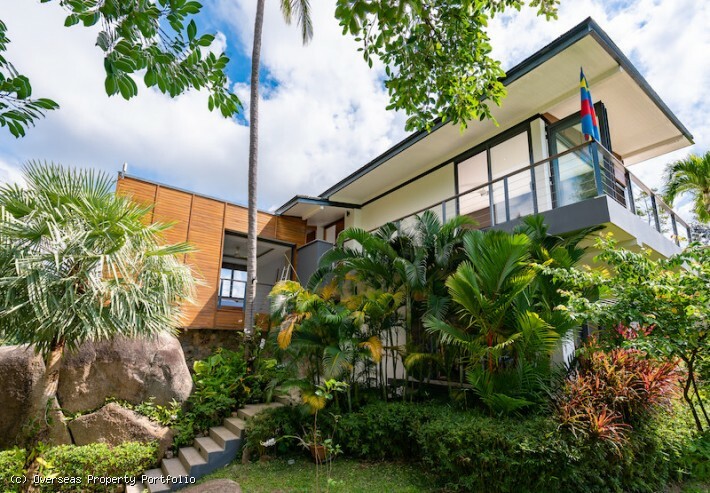 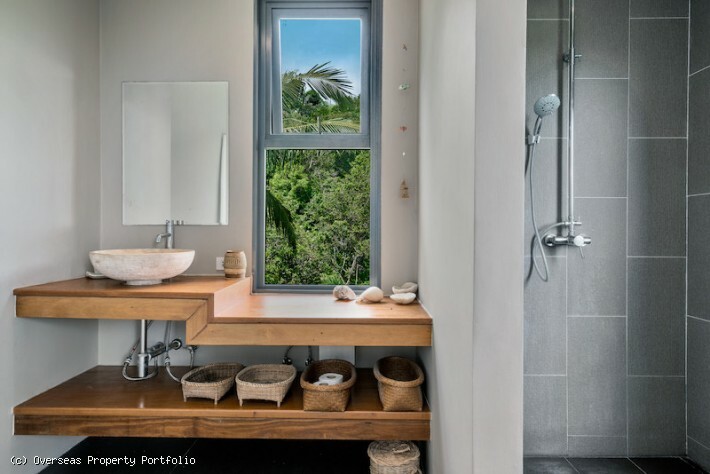 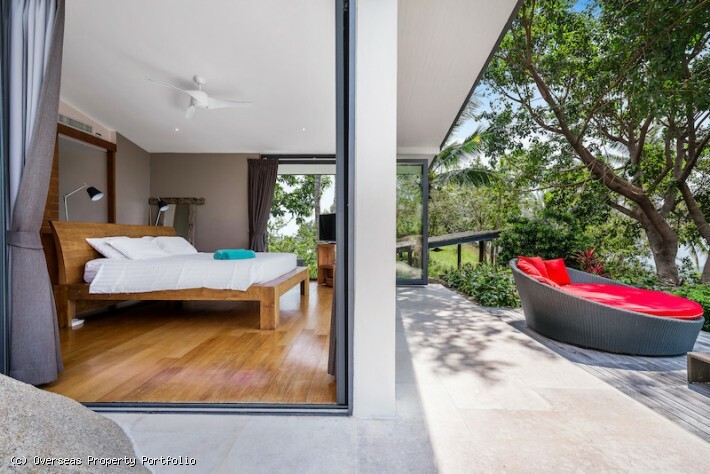 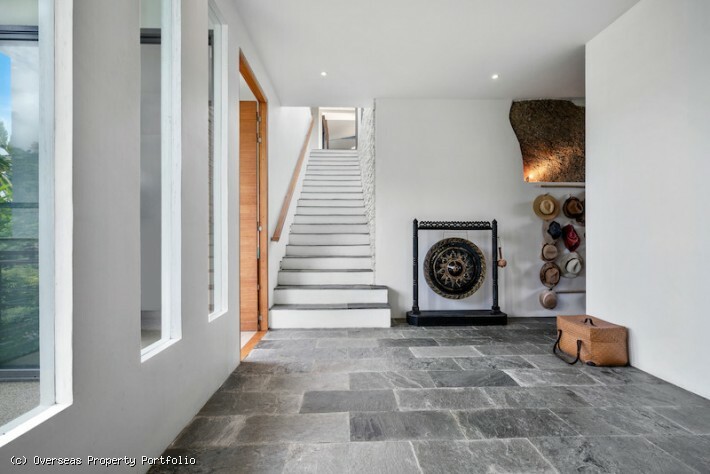 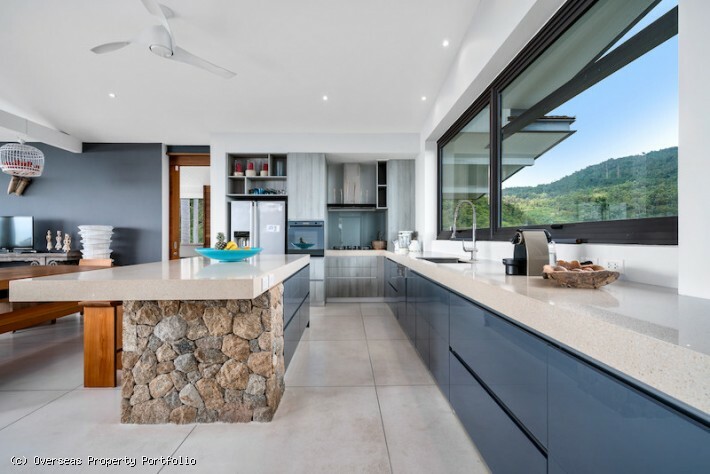 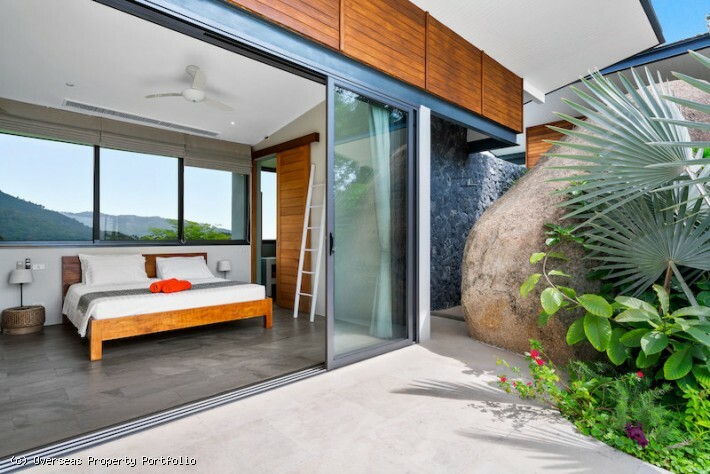 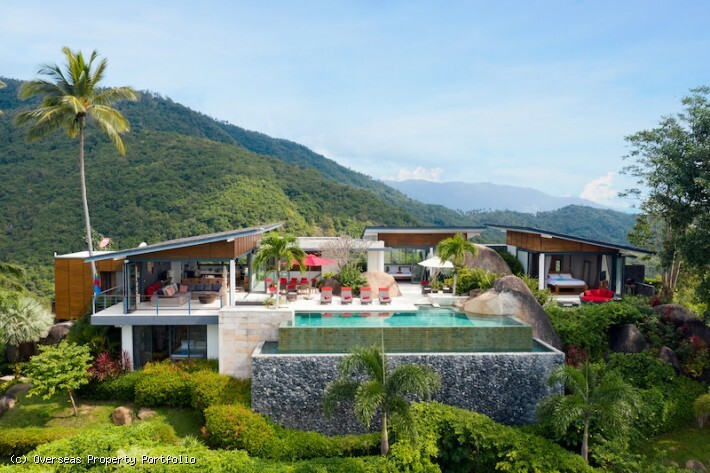 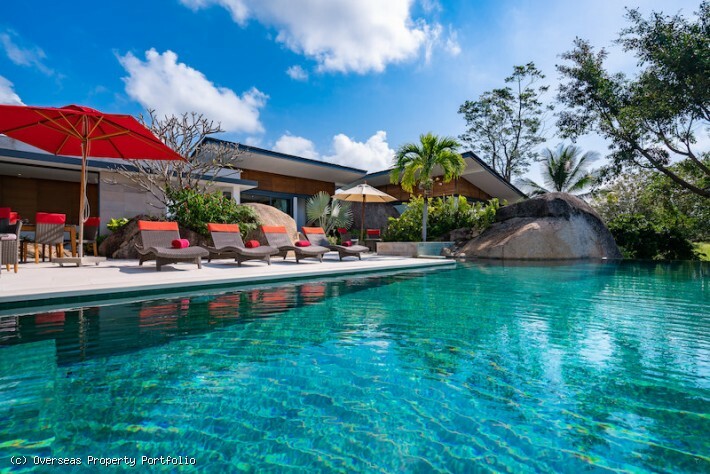 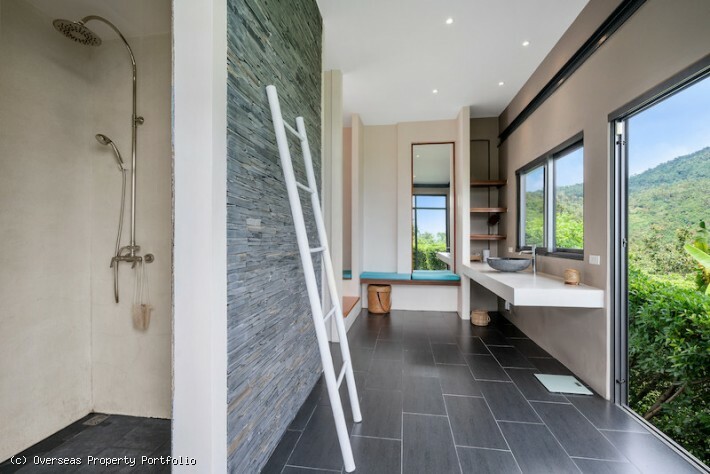 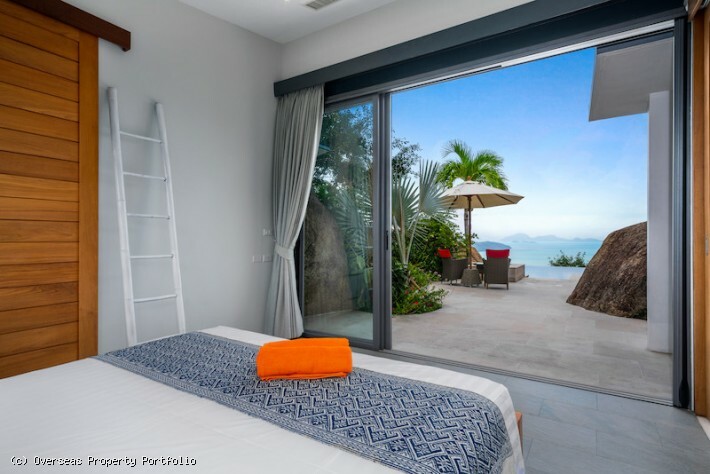 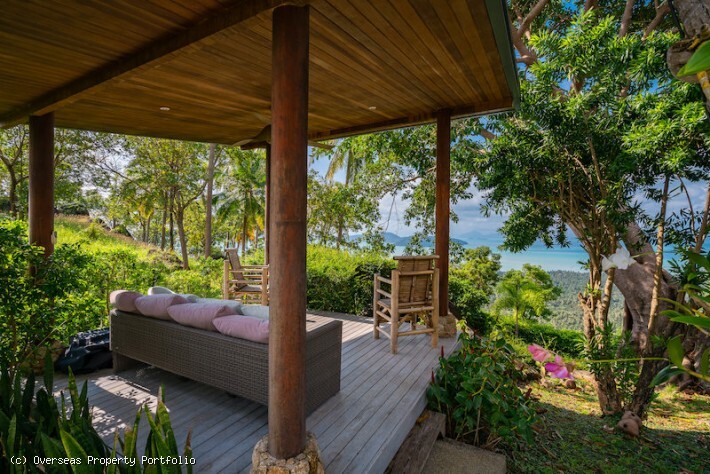 Set within extensive tropical gardens covering 1900 sqm with lovely water features and natural rocks incorporated in the landscape, this Koh Samui villa for sale is very private and tranquil. 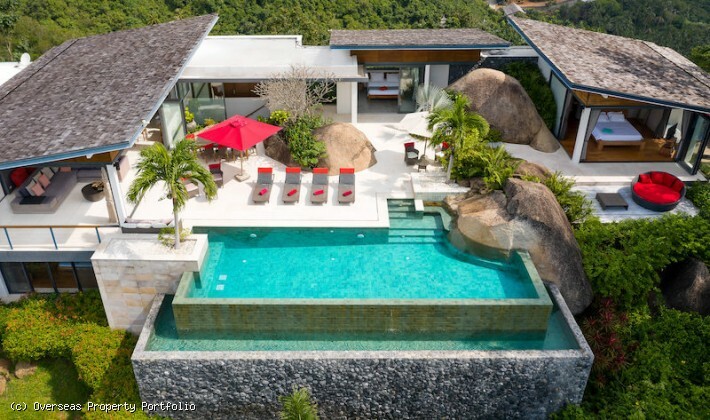 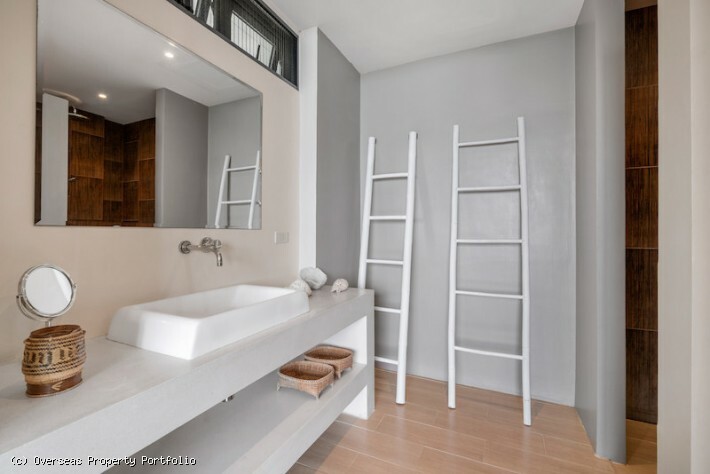 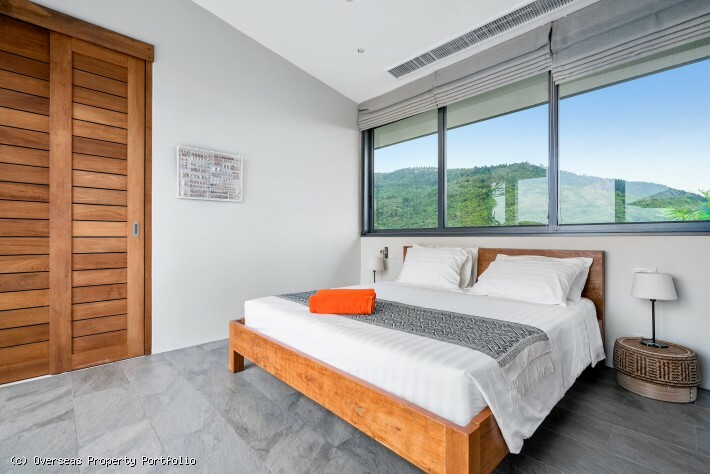 This sophisticated Koh Samui Property for sale sits on an exclusive estate with 24 hour security, located on a lush green lush hillside in Laem Sor, an untouched and secluded area in the south west of the island, just a few minutes drive to beautiful pristine beaches and 20 minutes drive to one of the main tourist areas, Lamai. 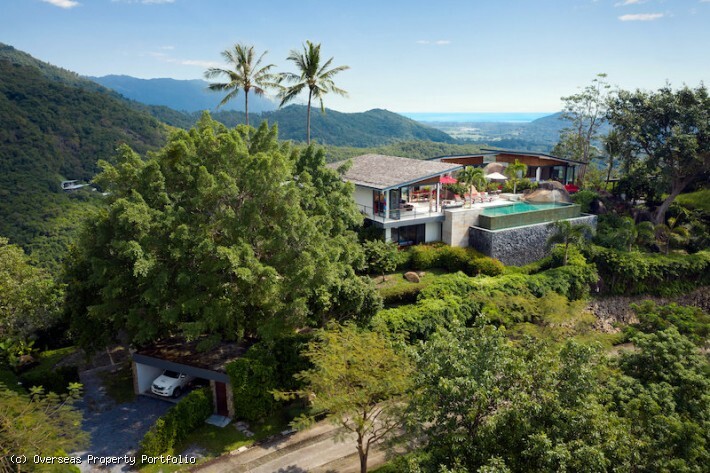 In the vicinity there are many health spa's and retreats, local shops and good markets plus some excellent restaurants with romantic beach side settings along with a number of prestigious 5* hotels including The Intercontinental and The Conrad.